Avalanche Album Club – Hiatus Over ! After a lengthy gap caused by there being no good music at all (this isn’t twitter so everybody gets that’s a joke right ?) the album club returns with an album worthy of the wait. 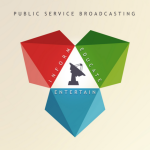 I had the first Public Service Broadcasting 10″ dropped off in the shop and was asked to give it to customers I thought might be interested. A couple returned this week to thank me. Clearly with many bands now very keen to try to go directly to customers from the start and with the vinyl resurgence something new is needed but everybody with outstanding subscriptions will have them fulfilled with a bonus ! More on all that later but members can pop in from tomorrow and emails will go out next week if I can find an uncorrupted spreadsheet (and even if I can’t) to those who both collect and those who receive their packages mail order. Thanks to everybody for their patience. It will be rewarded ! Stocking policy – one more time ! Our stocking policy is based on giving our customers good value and good service. There is no point in selling our customers releases after the band/label have made it available, at a higher price and without the incentives so often offered in presells. Consequently we expect to have a release on offer at the same time, at the same price and we expect to be listed as stockists. We don’t ask for any exclusives or seek to gain an advantage over our fellow shops. So for instance we have been happy to presell the Quickbeam album and give it the social media coverage we have become known for. We do however try to give some profile to all the releases we stock as with Mood Six and The Black Diamond Express this weekend whether the bands are employing others for PR, actively doing their own PR or simply pop in the shop with their release. On the other hand Fence’s marketing strategy now contravenes what we ask on several levels but I completely accept Johnny’s right to take the path he thinks best suits his bands, especially now Kenny has left, and I’m confident he understands my position too. It is unfortunate but should there ever be a change of policy I will always be happy to reassess the situation. Nobody would like to see Kid Canaveral and eagleowl’s new albums in as many shops as possible more than me ! Song, by Toad is a slightly different case in that they, unlike Fence, have chosen to have a distributor for their releases with official release dates etc. Matthew thinks it acceptable to offer the new Sparrow and the Workshop album to fans a month before the agreed release date. In fact what this means is that it is being given to shops a month after it has been made available to the public. I should say Ian at the label said I too could have the album in April but that is to miss the point. This rather cavalier attitude extended to Record Store Day when despite the organisers bending over backwards to try and accommodate the label’s release it succeeded in breaking every rule by being presold and not being made available to all RSD shops through the label’s official distributor. Consequently it was not listed. I merely highlight the two labels that have caused the most comment but I’m constantly receiving requests from people completely oblivious to the fact they are missing the point as to what shops actually do ! In particular I get asked to list product in the Avalanche online shop from bands who have never bothered to tell the world we are stocking their album or even from bands who want me to list their releases online and yet have never brought them into the shop. Anyway loads more news to come but I just wanted to get that out of the way. I hope it goes without saying that I wish all those who take a different course with their releases all the best. Basic info first. Prices etc later but feel free to ask. You are currently browsing the avalanche records blog archives for May, 2013.